The unfortunate thing about being forced to use your right to file bankruptcy is that for many there is an unnecessary and unrealistic sense of failure about having to make that decision. The reality they have yet to experience is that bankruptcy will open a future of brighter financial prospects and less stress. 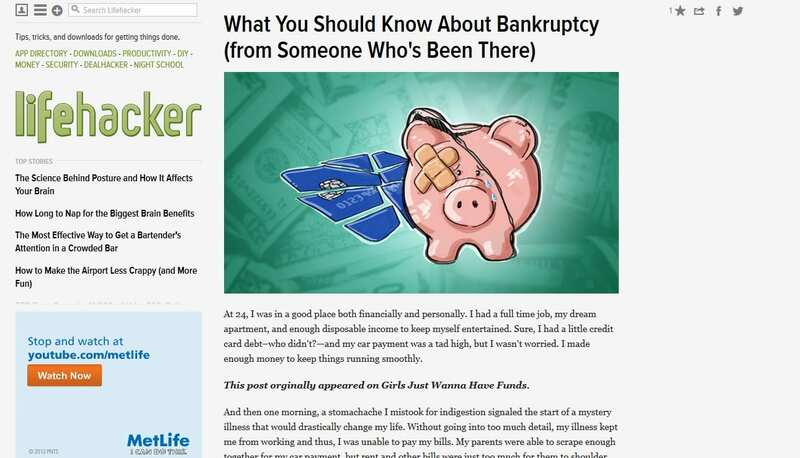 Bankruptcy truly provides a “fresh start” for those that properly take advantage of the opportunity. However, as a result of the sense of shame or failure there is few personal accounts published that express feeling of relief that comes with putting your financial difficulties behind you. Click the link below to read an excellent article from a young woman that went through the process and her feeling on how it helped her and can help others.